Rosemont, Ill. – June 16, 2015 – It’s time to commit to smarter football. 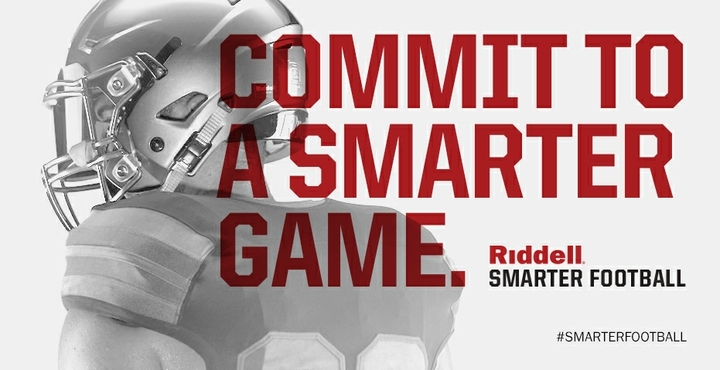 Riddell, the industry leader in football helmet technology and innovation, today called on players, coaches, parents and fans to take an active role in advancing the game through the Smarter Football Commitment. The initiative invites members of the football community at all levels of play to join in a movement to create a better, safer sport through the use of “smarter” tactics on and off the field. As part of the Smarter Football Commitment, several deserving football programs will receive Riddell equipment grants. A total of $100,000 in equipment will be donated to programs that best articulate how the new product will strengthen their team’s commitment to smarter football. Riddell is asking people to show their support by following the prompt at Riddell.com/SmarterFootball and making a commitment or applying for a grant. Grant entries will be accepted today through July 31, 2015. Recipients will be announced on a rolling basis after the submission period closes and equipment will be delivered during the upcoming 2015/2016 football season. 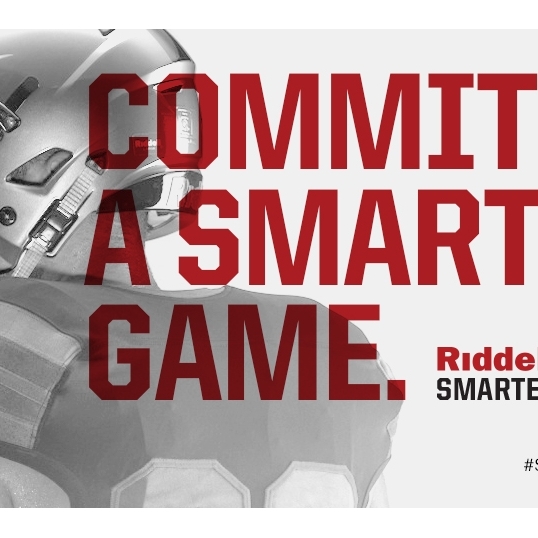 In addition, Riddell is also encouraging football communities to implement and share best practices that benefit the game via social media using #SmarterFootball. Riddell believes the future of football is now. The phrase bigger, faster, stronger no longer adequately describes the state of today’s game. Players are better prepared, coaches are more creative, teams boast more innovative facilities, and technology informs all aspects of the game plan. These advancements force programs to rethink their approach to every phase of the game and incorporate mental acumen to match physical prowess. At Riddell, Smarter Football manifests itself in the way the brand integrates engineering expertise with new data and cutting-edge materials to develop the best protective equipment. It’s taking years of research in the lab and marrying it with real feedback from the field. It’s using head impact monitoring technology as a tool to help improve tackling techniques. It’s understanding the human body and how biomarkers paired with sensor data can provide valuable insight into concussions. And, most importantly, it’s about combining decades of experience with a passion to usher the sport into the future to create a better game for all. The most complete example of smarter football in action is Riddell’s InSite Impact Response System. InSite is a helmet-based sensor technology that alerts sideline staff when an impact exceeds a certain threshold as it correlates to player position, size, and level of play. Backed by years of extensive research and over 2 million on-field head impacts, InSite provides a new level of player monitoring and intelligence for those in the game and on the sidelines. Information gathered from Riddell’s sensor technologies also helped shape Riddell’s most innovative helmet to date – the SpeedFlex, which reduces impact force transfer to the athlete by incorporating flexibility into key components of the helmet. SpeedFlex was built from the ground up to incorporate InSite, and further accentuates Riddell’s approach to creating products designed for the future of the game. Founded in 1929, Riddell is a premier designer and developer of protective sports equipment and a recognized leader in helmet technology and innovation. One of BRG Sports’ most well-known brands, Riddell is the leading manufacturer of football helmets, shoulder pads and reconditioning services (cleaning, repairing, repainting and recertifying existing equipment). For more information, visit our website at http://www.riddell.com, like the Riddell Facebook page, or follow Riddell on Twitter and Instagram @RiddellSports.